With news of Indo – China face-off at Doklam, near tri-junction of India , Bhutan and China border, Chinese media has been posting articles about possibility of war between India and China almost daily. And Indian media are also publishing them regularly. I have also been noticing in my Facebook and Twitter page about people posting update about how China can flood Assam by opening their dams they have built in Brahmaputra in Tibet (Yarlung Tsangpo). Specially as there is season of flood in Assam now days. First of all, I do not think there is any possibility of war, even if there is any war, it would be small scale war, not an all out war where all might of the state would be put to use. According me, India may not have very offensive power, but India is very powerful defensive force and it will be impossible to penetrate Indian defences like Chinese did in 1962. Chinese offensive capability has increased many fold since 1962, but still it is not that superior like those of Americas that it could really mount a successful invasion into India. And in case of all out war, it is very unlikely that Chinese missiles would target any cities in Assam or North East India. In my opinion, none of the North Eastern Cities are any high value target for Chinese missiles or air crafts. 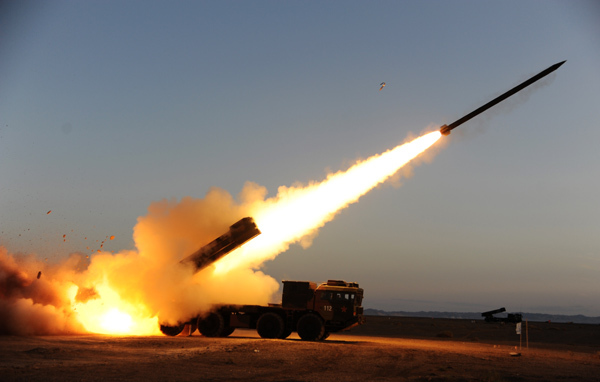 Also, China has enough rocket artillery power ( A300 Rocket artillery System to name one) using which it can rain artillery fire on any location, keeping their artillery batteries way inside their border. India has also validated its force deployment at China border way back in 1987, without road infrastructure they have built up since then. So, even if Chinese offensive capability has increased by miles, it simply can not repeat 1962, while they are trying hard to intimidate India by reminding 1962. Also, if Chinese want to trouble citizens of India, they could simply fire their artillery to destroy dams being built or operational in Arunachal Pradesh. Easy target for them. I am sure, it is very unlikely, Chinese will never resort to such tactics. It just does not make any sense, flood in Assam will no way restrict movement of Indian defense forces, hamper any supply lines. Along the high value targets, China may try to destroy oil refineries which have total output of approx 7MMTPA, spread over four locations. I really wonder if China will commit their costly missiles, aircraft to destroy such target. Why would they expose their artillery batteries for such low value targets. So, I think, people of Assam should relax about any Chinese bombing, artillery fire or flooding by dams. It should rather worry about other economic hardships that war brings to a country like any other Indian.